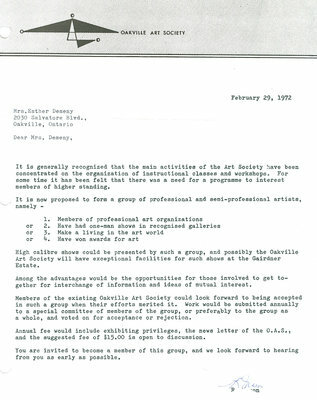 This letter details the request to form the Oakville Group - a group of more established artists. Thomas F. Chatfield had his first solo exhibition in 1959 at the Upstairs Gallery in Toronto. 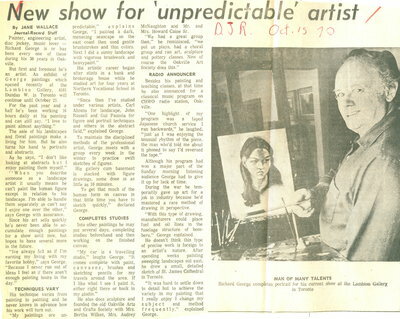 In 1967, Chatfield focused on painting full time from his Oakville studio. His unique depiction of landscapes is known throughout Canada as well as in the United States. Chatfield designed the second logo which depicted the Red House. 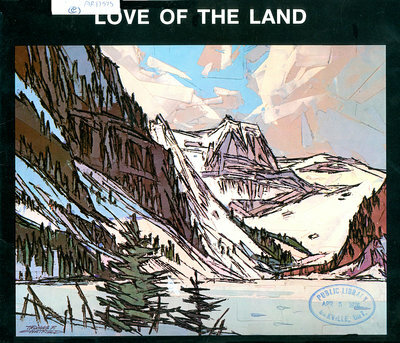 Front cover for Tom Chatfield's solo show "Love of the Land" in 1976 at the Oakville Centennial Gallery. Gwynyth Young experimented in many different mediums as an artist but she is primarily known for her sculptures and lithographic prints. 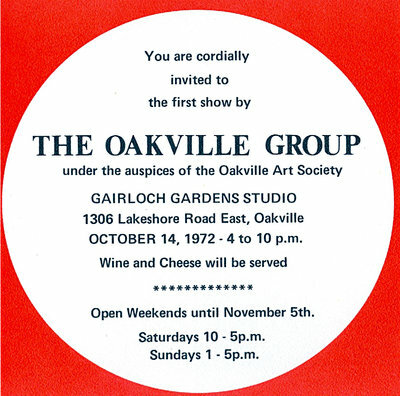 Young was granted a lifetime membership to Oakville Art Society and there is a show room at Og2 (Gariloch Gardens location) named for her. 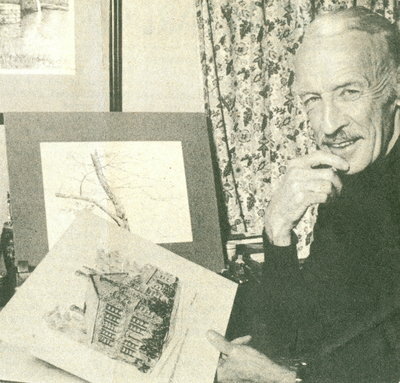 Harry Howard was known for his pen and ink drawings and watercolours of local historical buildings in the Oakville area. Later he would expand and depict other locations such as Western Ontario and Quebec. Howard was a resident of Oakville for 25 years. Richard George painted flowers and landscapes to pay the bills but he also explored abstract and portrait painting. In the article pictured left, George described his technique as always changing with each new painting. Marjorie Marlatt: Known for her expressive paintings in both watercolour and acrylics depicting flowers and landscapes. Her work is influenced by her childhood in Cobalt. Marlatt was president of OAS from 1969-1970 and was instrumental in helping to establish the Gariloch Gardens Gallery. 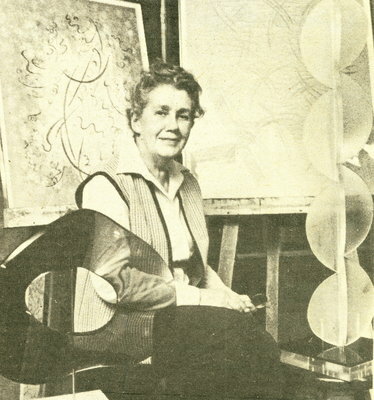 Alice Waywell was a Canadian artist with an international reputation. 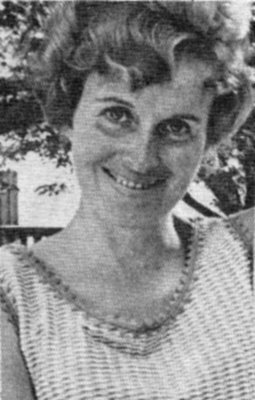 She emigrated from England with her family in 1954 to Oakville. Alice was a 'master' in the wet-wet technique in watercolours. 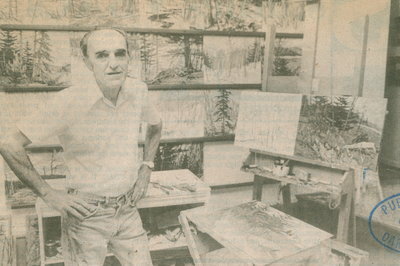 Waywell was elected to the Society of Canadian artists in 1970. Throughout her lifetime she had over 30 solo shows.